Thanks to summer vacations, weddings and outdoor barbecues, it’s easy to take on unexpected debt from June through August. In fact, a majority of Canadians say they spend more money on socializing during the summer months than any other time. It is easy for people to enjoy themselves and lose track of spending in the summer, which can quickly be compounded by the holiday spending surge that follows shortly after. 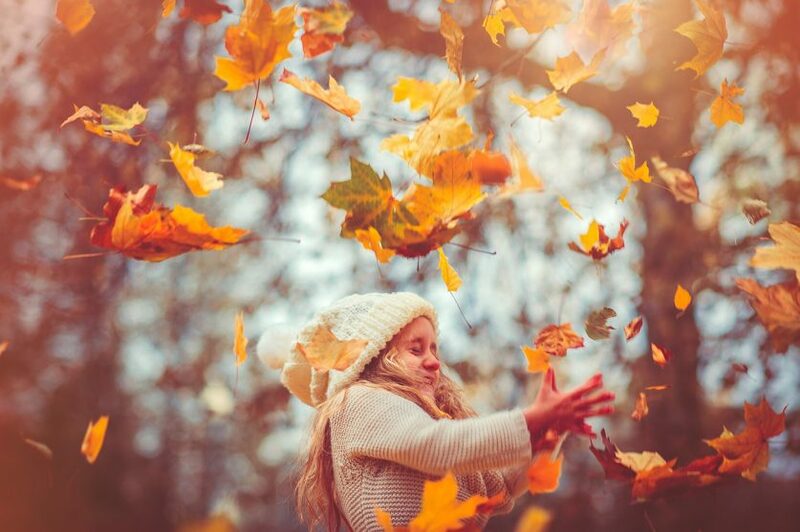 With autumn upon us, take time to give your finances a little dusting off and sprucing up. It’s an ideal time to give your finances a checkup and get your cash flow back on track ahead of the approaching holiday season. Follow these tips to refresh your finances. After an indulging summer, its may be time to reboot your money mindset. Make a detailed list of your net income and expenditures to identify areas where you can cut back. You have the most control over your discretionary expenses as they are lifestyle choices and may have blossomed with your summer vacation. For example, you may be surprised at how much you continue to spend each week on coffee and lunch. Look at your wants versus needs and adjust your spending habits. There are plenty of opportunities to avoid wasteful spending when you’re feeling bored. Do something for free such as take a hike, wash the car, or go to the dog park. People often neglect to monitor their financial accounts over the summer. It’s a wise idea to review your credit report following the peak travel season. You want to check your credit to make sure all the accounts belong to you and are reported correctly. Request a free copy of your credit report from Equifax or TransUnion and call them with any incorrect information to make a dispute. If you suspect fraud or identity theft, consider freezing your credit account to stop a thief from opening an account or getting credit. From auto insurance plans to credit cards to internet providers and cellphone packages, people often sign up and stay with the one provider without ensuring the plan best fits their budget and needs. Taking a few moments to compare competitor offers can translate to hundreds of dollars in savings. For example, prices are constantly changing in the auto insurance market and it’s important to compare rates. Insurance companies buy shopping habit data and will incrementally increase your rate every year to charge you what they think you are willing to pay. You can also change your coverage options, such as increasing your deductible, which will lower your monthly premium cost. Re-evaluate all your financial products. What’s the interest rate on your savings account? Does your credit card have an annual fee? If so, are you getting value for the cost? Are you getting charged a fee each month for your checking account? Start comparison shopping and see if there are other financial products that would be better suited for you. If you’re having trouble paying off your credit card debt, refrain from using your card until you get control and stick to cash. Then, make a strategic repayment plan. You may also consider transferring a high-interest credit card balance to another card that offers zero percent as an introductory offer. This strategy can save you hundreds of dollars on interest and help you pay down debt faster. However, it’s important to pay down the balance in full before that introductory period is up in order to benefit from the savings. Here’s a novelty. Consider creating a draft tax return during the fall. It gives you a good idea of where you stand with taxes paid and instalments due, allowing you to adjust your withholdings accordingly if necessary. It also draws attention to underfunded personal and employer-sponsored retirement plans. This is a good time to boost contributions, which will help lower your taxable income and help you reach your retirement goals. It also can save the last minute dash in the first part of the new year attempting to meet your contribution goals. Weather-stripping, caulk, window insulation, and general insulation can pass along significant savings during the winter. Consider turning down your thermostat a degree or two. Switching your fans to clockwise rotation can save up to 10% on energy costs. On average, people spend about $83 per person per family at Halloween. Why not get creative and make your costumes. Buy what you can afford and pay cash. Fall festivals are a lot of fun for the family and are usually free. But, where they get you is when you are inside the festival. Budget a little extra money and have fun. If you’re on a tight budget, skip the pumpkins at the pumpkin patch, you’ll get a way better deal at your local grocery store. I can smell the turkey already, and I can hardly wait! A good rule of thumb is to figure about $5-$7 per head when having guests over for Thanksgiving. Don’t forget, Thanksgiving is the official start of holiday shopping. Did you know a large part of of Christmas holiday spending happens over the Thanksgiving weekend. Have a plan and pay cash. Now is a great time to stock up on summer clothes and anything related to summer. The best time to buy anything is when it’s on sale and at the lowest price possible. Start looking into what you and your family may need and put some money aside now, so you’re prepared. Search for alternatives to paying full price, like fall yard sales, second-hand stores, and clothing swaps. If you’re planning to pay for gifts, travel and other holiday expenses with your final pay of the year, you may put unnecessary strain on your finances and increase the likelihood of taking on more debt come December. The easiest way to budget for the holidays is to plan ahead and make a list of all the events you plan to buy for such as parties, family dinners and gift exchanges. Create an itemized list for each event, including food, gifts, decorations and anything else you may need. Then, set a limit for each gift and category on your list. Add up each category for your total budget, then set a goal date and start saving. Get a jump-start on holiday travel planning as soon as possible. Start buying tickets for holiday travel now. The longer you wait, the more expensive it will get. Consider making a list of fall financial activities. It helps you keep these ideas top of mind and taken as a whole, they can assist in reducing your overall spending and save you a lot of money. I refer to it as money leakage. Its money that is spent and slips away without you realizing it. Just like spring cleaning, fall cleaning helps you recover from the lazy days of summer and focus on the most expensive quarter of the year leading up to the Holiday Season. Autumn financial awareness assists in Keeping Life Current.